Lot 117. 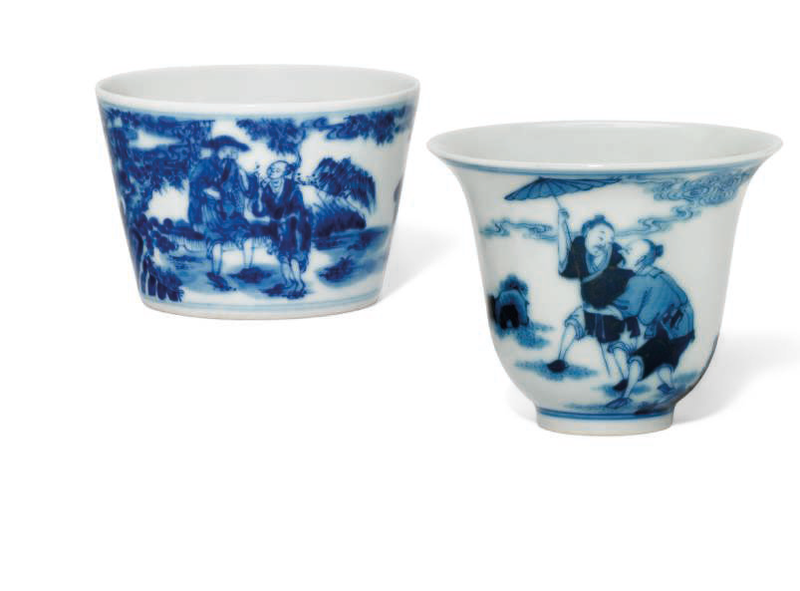 Two blue and white 'figural' cups ; the 'figure with parasol' cup: Kangxi six-character mark in underglaze blue within a double circle and of the period (1662-1722) ; the 'snipe and the clam' cup: 19th century. Both 3 in. (7.5 cm.) diam. Estimate GBP 4,000 - GBP 6,000. Price realised GBP 5,000. © Christie's Images Ltd 2018. One cup is decorated with two figures, one holding a parasol, amongst rocks and scrolling clouds. 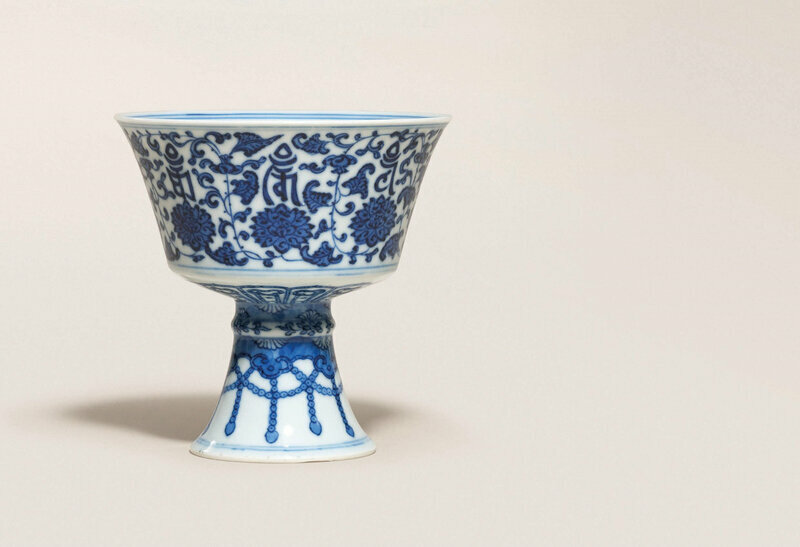 The base bears a Kangxi mark in underglaze blue within a double circle and of the period. 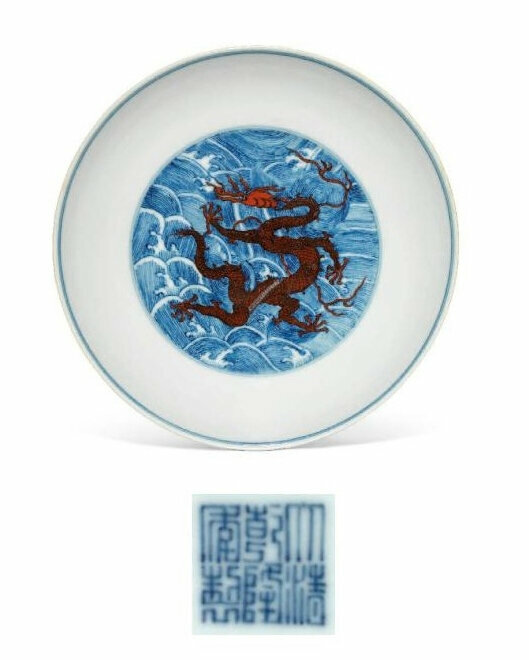 The other cup with is decorated with a scene from the story of theFight Between the Snipe and the Clam (yubang xiangzheng) depicting a bird grappling with a clam with three fisherman on the side, the base with an apocryphal Kangxi mark. Provenance: Acquired in the UK over the past 60 years.